FANCY HAVING A GO AT CREATING YOUR OWN? COME AND JOIN ONE OF OUR WORKSHOPS! from a lovely conservatory in Ewhurst in the Surrey Hills. You will create a sketch book of techniques and ideas which you can experiment with and refer to at home. 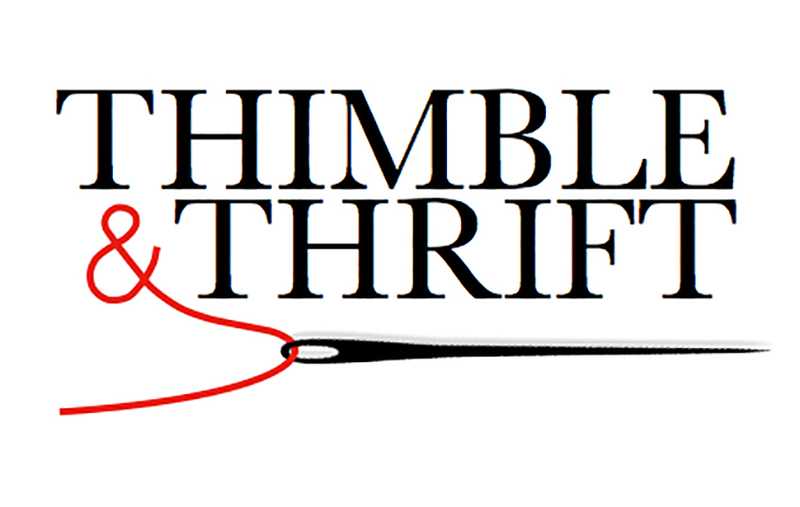 To book a workshop simply fill out the form provided or contact me directly at thimbleandthrift@gmail.com. Workshop dates will be added very soon! My workshops usually run from 10am to 3pm unless you are planning a bespoke class. 5 maximum. There's the perfect amount of space and enough for 5 cups of tea per pot! The workshops cost £60 per head with basic materials and refreshments are provided. Full payment is required upon booking. What can I expect to produce? Throughout the day you will create a sketch book of techniques which you can refer to when you return home. You will have the opportunity to experiment with machine embroidery doodling, colouring, encapsulating scraps and rough applique, amongst others. It's important that you have a working knowledge of how your machine works and that it's in good working order. However much we would like to teach you how to use your machine, we won't have time. That's probably a whole workshop in itself!) Any issues will hold up your fellow participants. If you need a machine, we have Bernina machines that may be borrowed for the day. All course materials and fabrics are provided. The price also includes coffee, biscuits and terribly British afternoon tea and cake on all of our day courses! If you have any allergies or dietary requirements, please let me know in advance.) You are welcome to bring your own thread and fabrics to use in the workshop. What will I need to bring? You will need your sewing machine and handbook, free machine or darning foot, thread and full bobbins, fabric scissors, a notebook and pen, photocopies of photographs or pictures to work from. Can I come on another date? Yes! If you can gather a minimum of 3 friends we can arrange a workshop suited to you - prices will vary. How about a hen day, birthday treat or girls' evening out? Email or call to arrange your day.